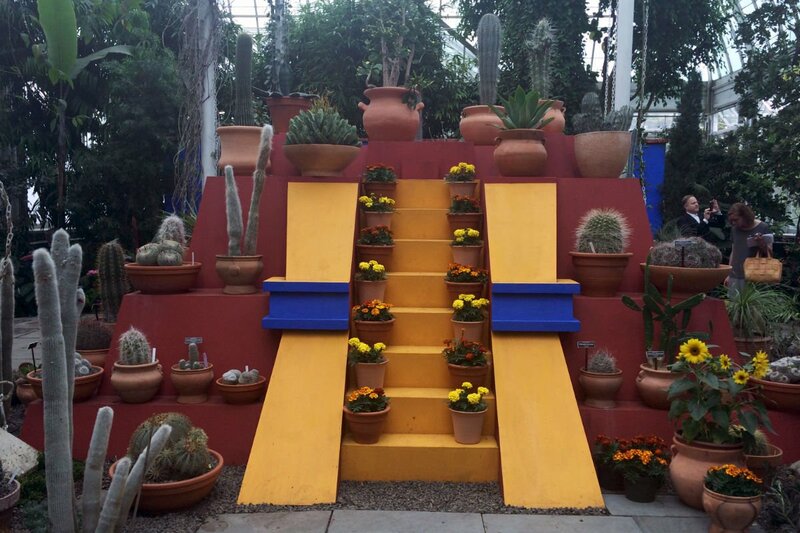 A cactus pyramid in New York Botanical Garden's Casa Azul. Photo by Becky Cheang. 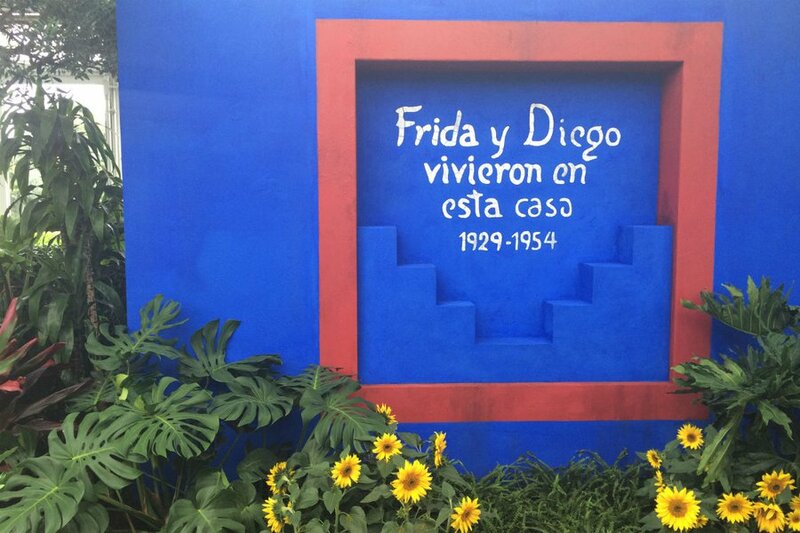 When we were invited to preview the 's upcoming exhibition, Frida Kahlo: Art, Garden, Life, Popupla editorial assistant Becky Cheang discovered that Mexico City is only a subway ride away from our Manhattan office. 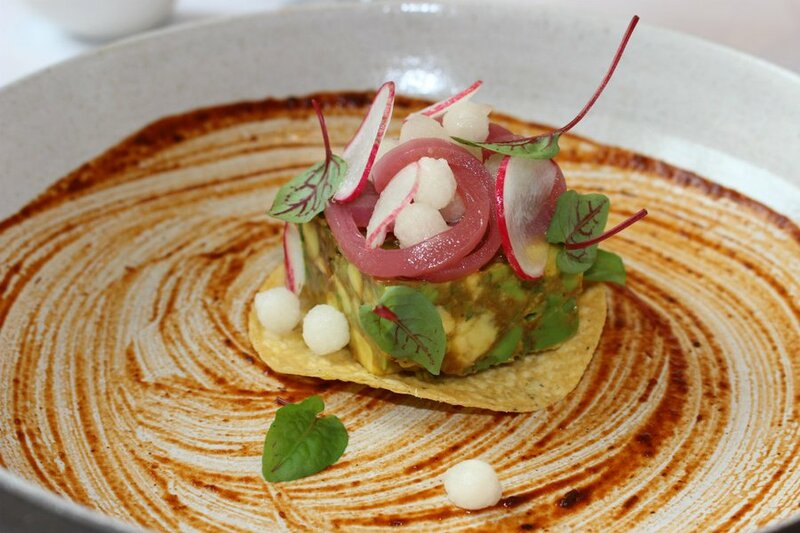 THE BRONX – I'm ashamed to admit that Mexico City is only a recent addition to my to-go list. 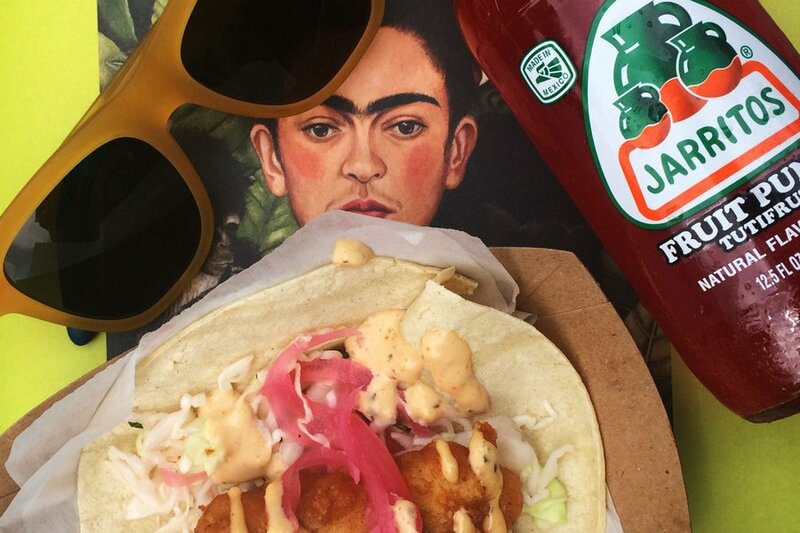 We have so many stories about it on Popupla, and I'm always totally captivated reading about the city's vibrant colors, culture, and mouthwatering food. A large part of my limited impression of the city is through Frida Kahlo, whose art and life fascinate me. 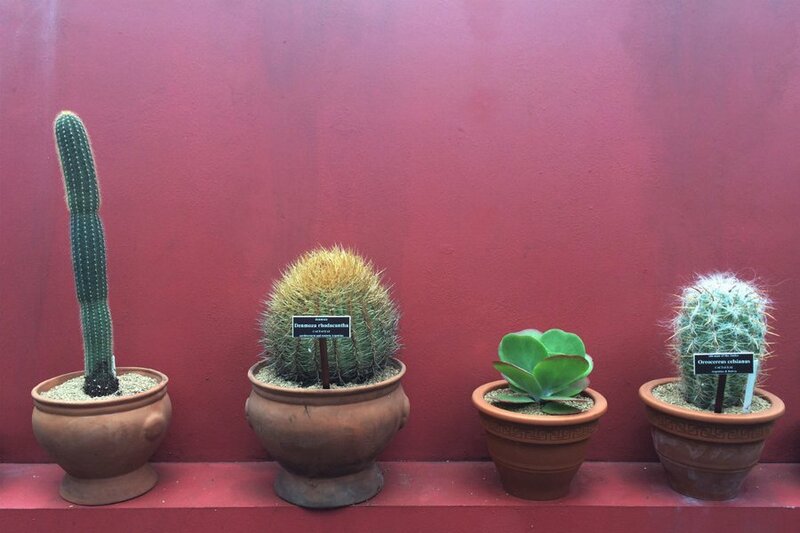 Naturally, her lifelong home, , in Coyoacán is high on my Mexico City priorities. 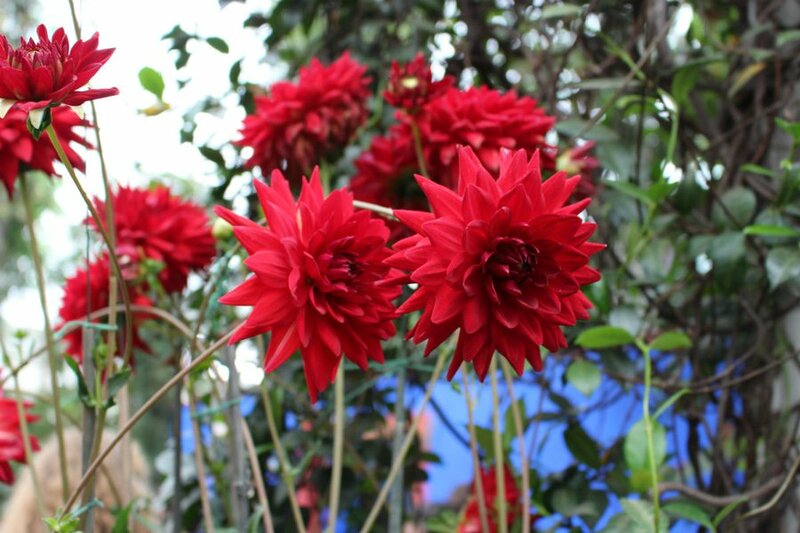 I'll get there one day, but in the meantime, I got a strong taste of her Mexico City right here in New York, and was also introduced to her inner horticulturist, when we were invited to the New York Botanical Garden to preview the upcoming . 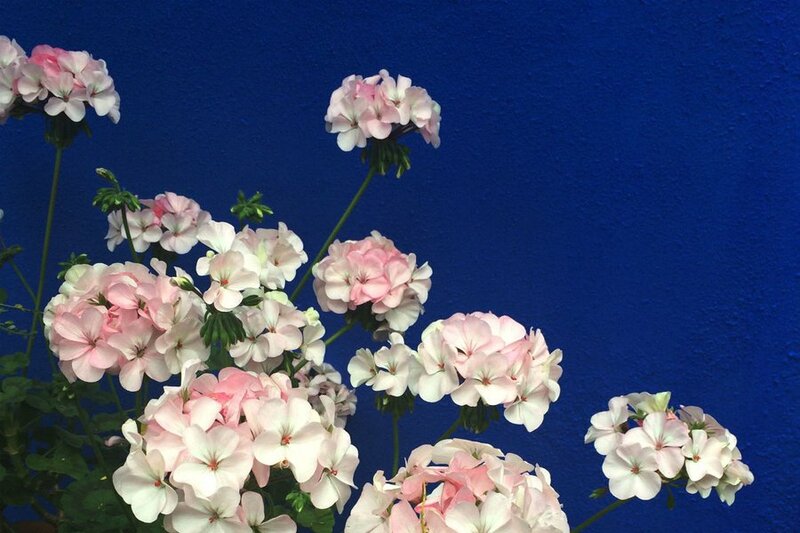 The art, garden, performance, and food exhibit opens May 16 and runs till November 1. 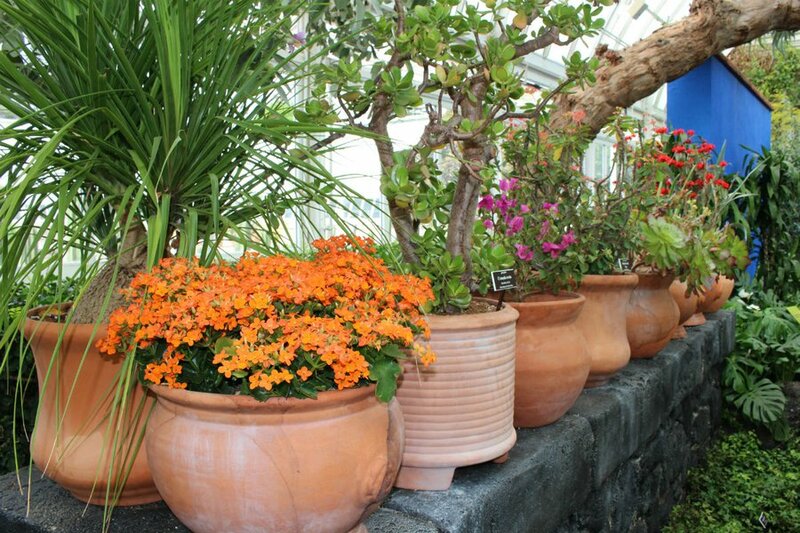 Stepping into the the Haupt Conservatory is what I imagine it would feel like to enter the garden at La Casa Azul. 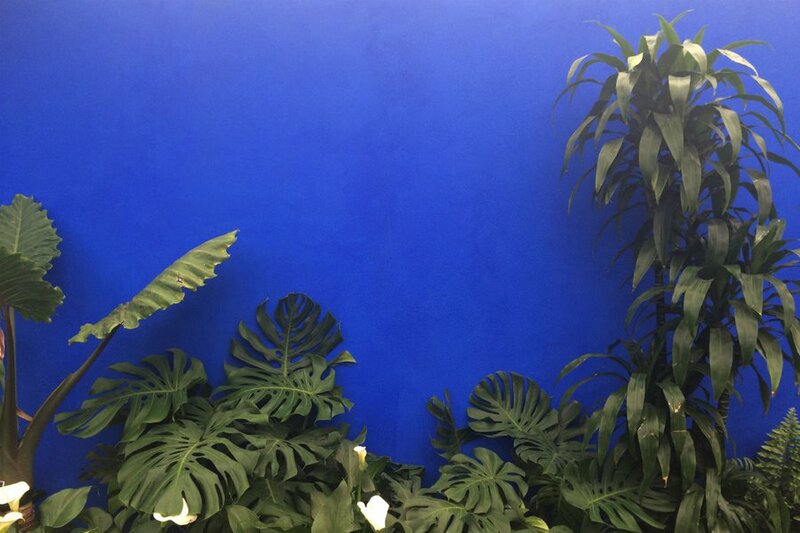 Vivid blue, red, and yellow walls are the backdrops to luscious tropical foliage and desert cacti. 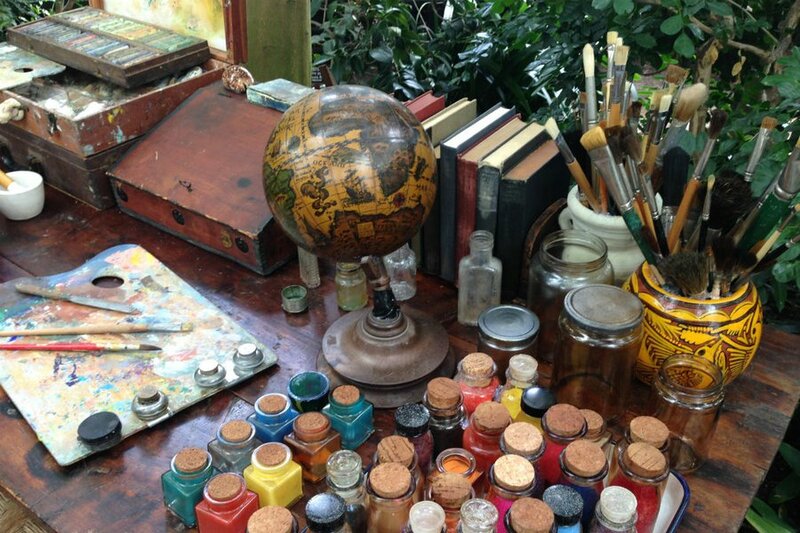 Scott Pask, a Tony Award-winning stage designer recreated Frida's desk and a scaled version of the pyramid her lover Diego Rivera constructed in the original La Casa Azul to display his pre-Hispanic art collection. 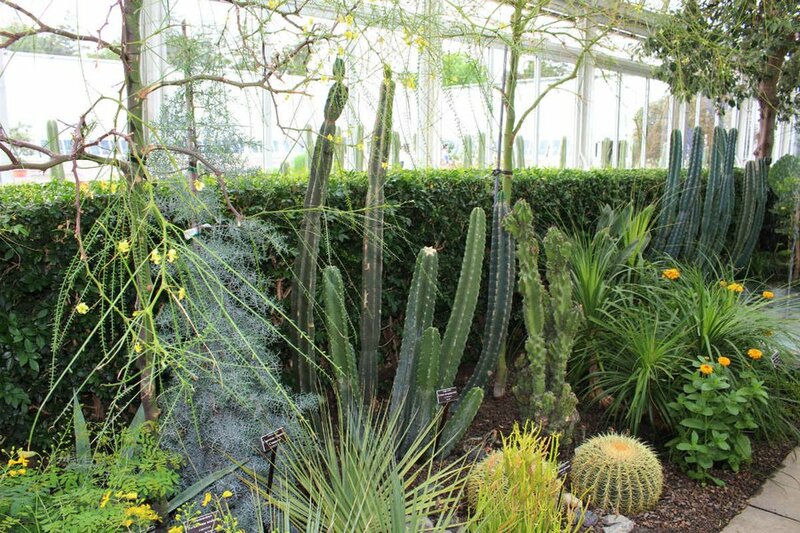 Lining the exterior wall of the conservatory is a cactus fence similar to the one at Frida and Diego's other home in San Ángel. 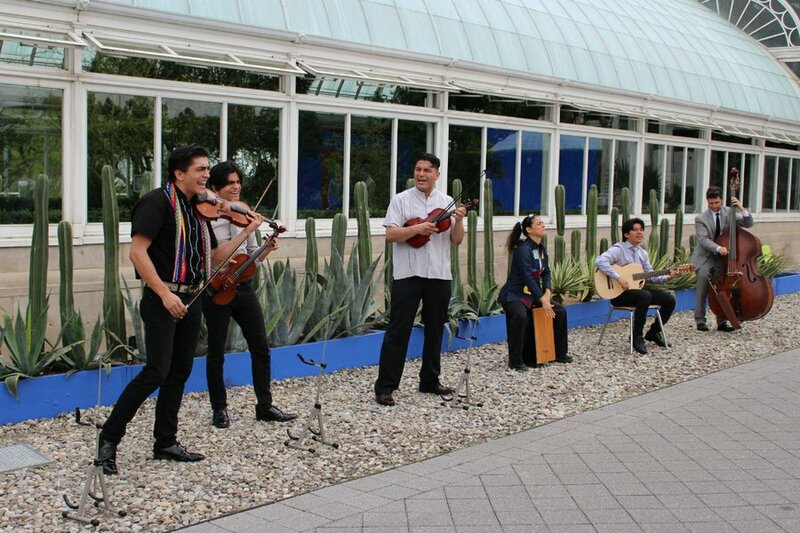 Performances are scheduled throughout the show's run; the one we heard was traditional Mexican music. 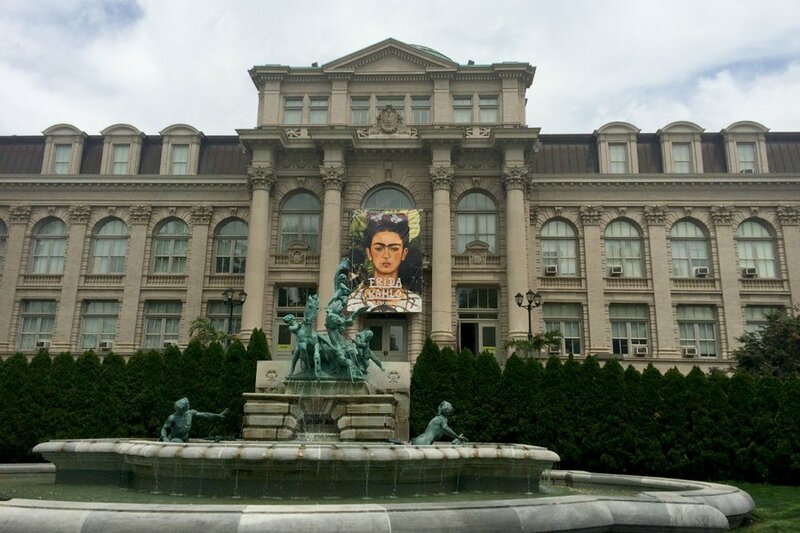 The fourteen original Kahlo works on display in the library's art gallery — her first solo show in NYC in more than ten years — illustrate how nature influenced her work. 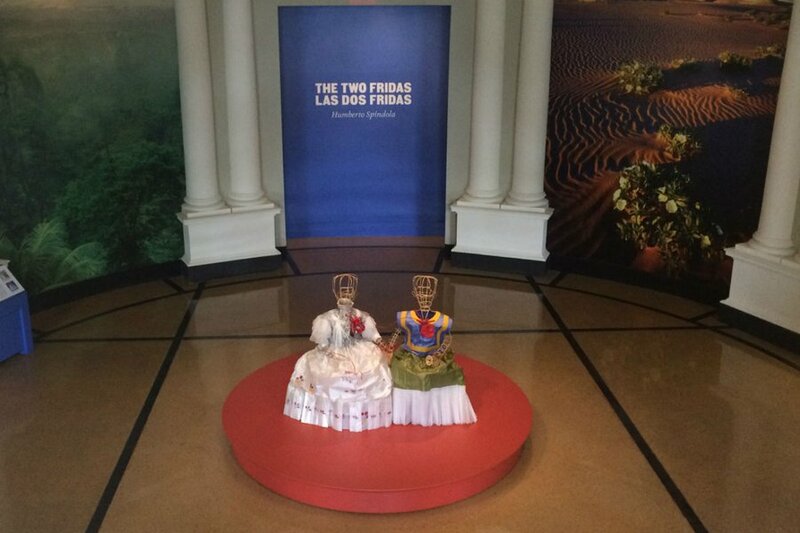 One floor down is an installation of two figures in tissue-paper dresses holding hands, inspired by Frida's "The Two Fridas" self-portrait. But there's more here than art and greenery. 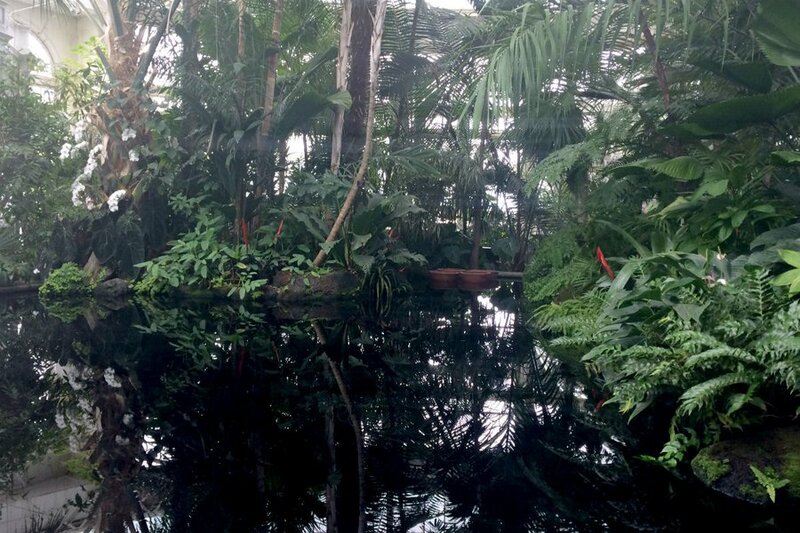 The NYBG team took great care to create a holistic exhibition. There will be live traditional music, film screenings, poetry readings, and other events to make it a full Mexican experience. 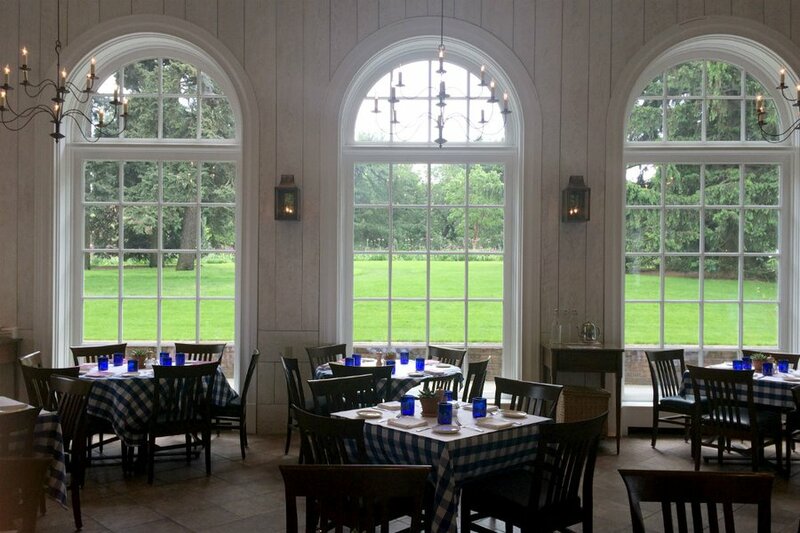 There are four different food areas, all run by Stephen STARR Events. Margaritas and micheladas are served in the cantina at the main garden entrance. 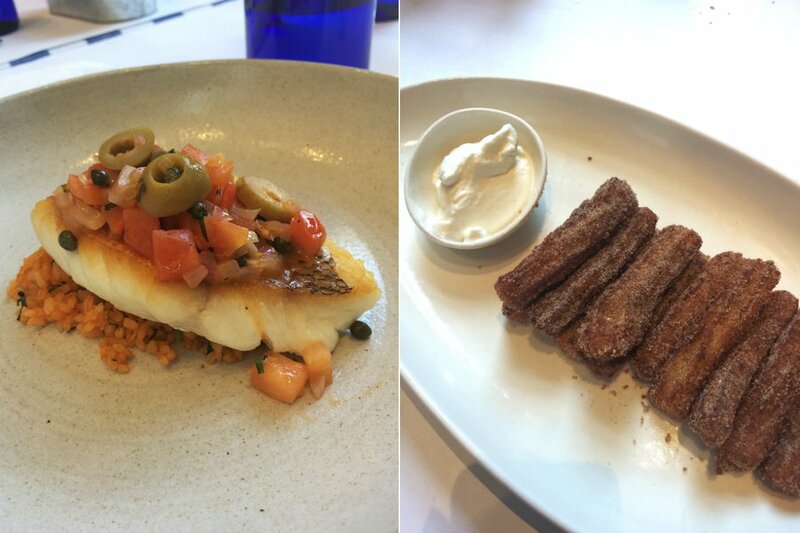 The cafe opposite the cantina serves dishes inspired by Frida's own recipes. 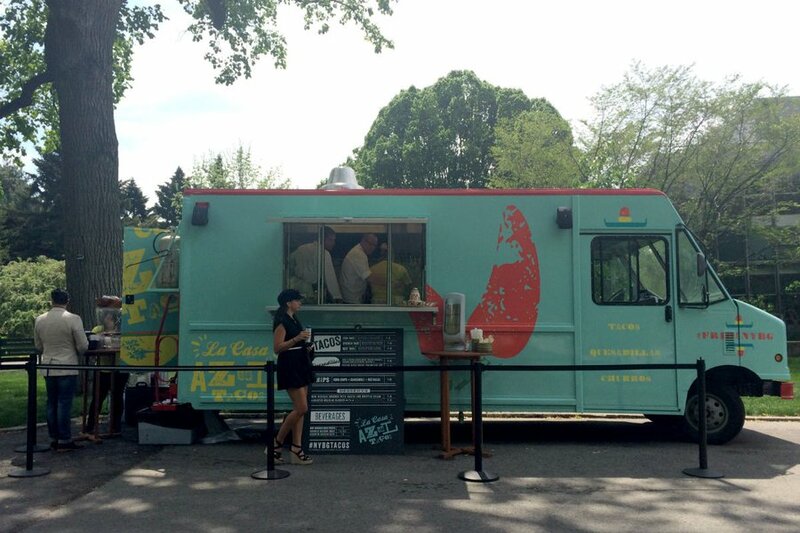 A roving taco truck is great for tacos, quesadillas, and churros on the go. 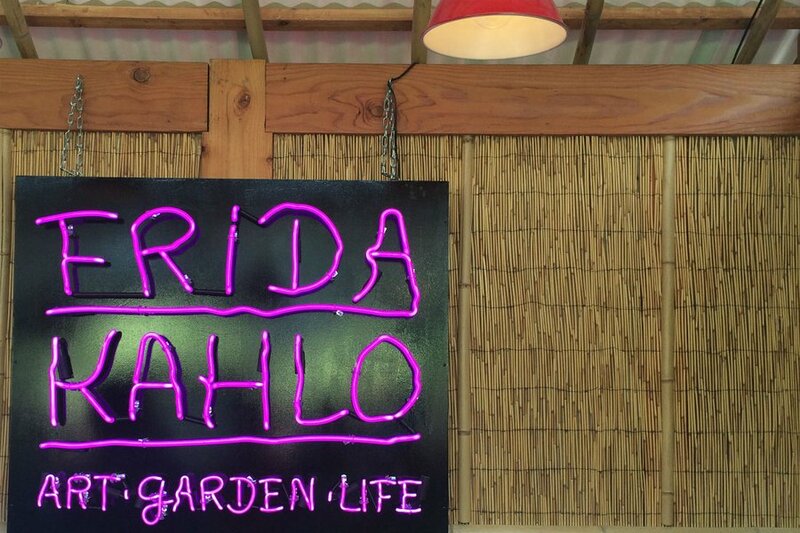 The most upscale option, Hudson Garden Grill, offers a special Frida Kahlo prix-fixe lunch. I still want to go to Mexico City, but until then, it's a quick train ride to the Bronx for six months' worth of special events to keep me busy. Maybe one random Thursday, Friday, or Saturday night, I'll see you at an after-hour visit for . 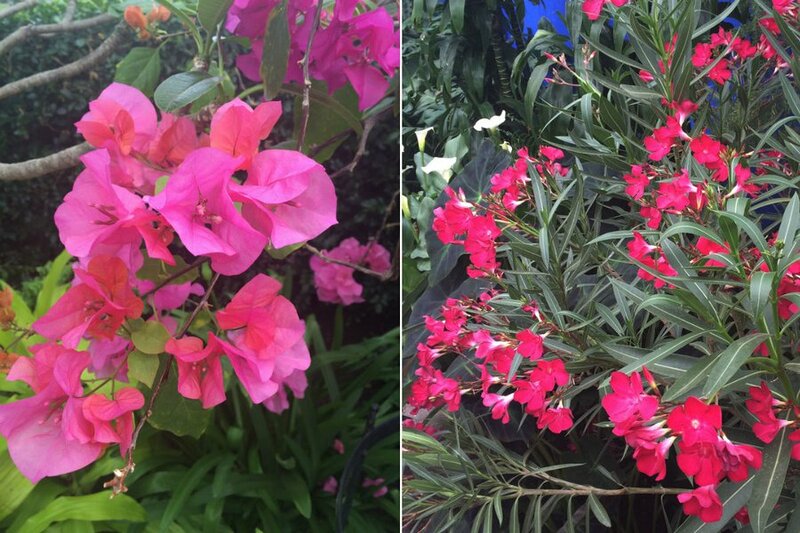 Take a visual tour of the show and garden.